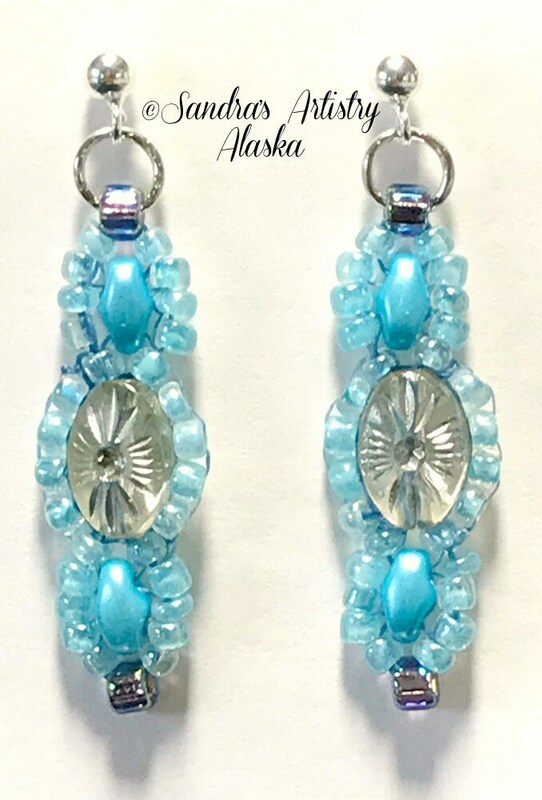 I personally handmade and designed these beautiful earring sets, so they're one of a kind. 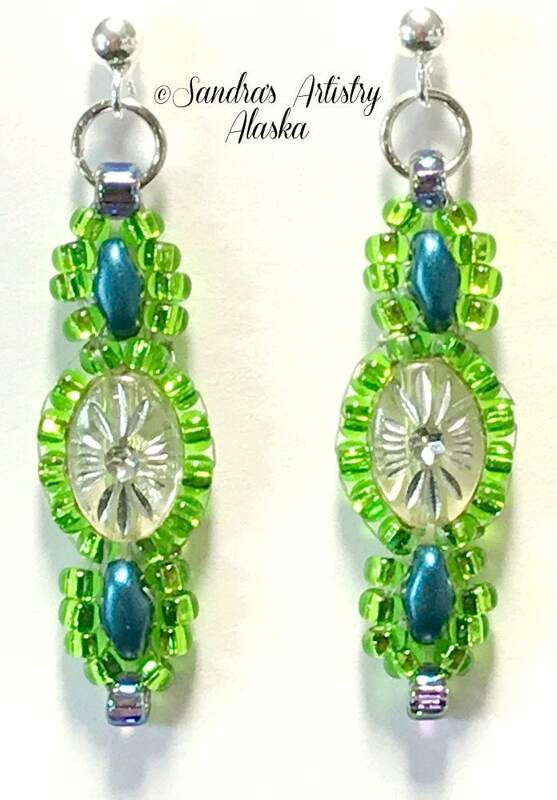 Made with size 10 Czech Glass, including oval, flat accent beads. 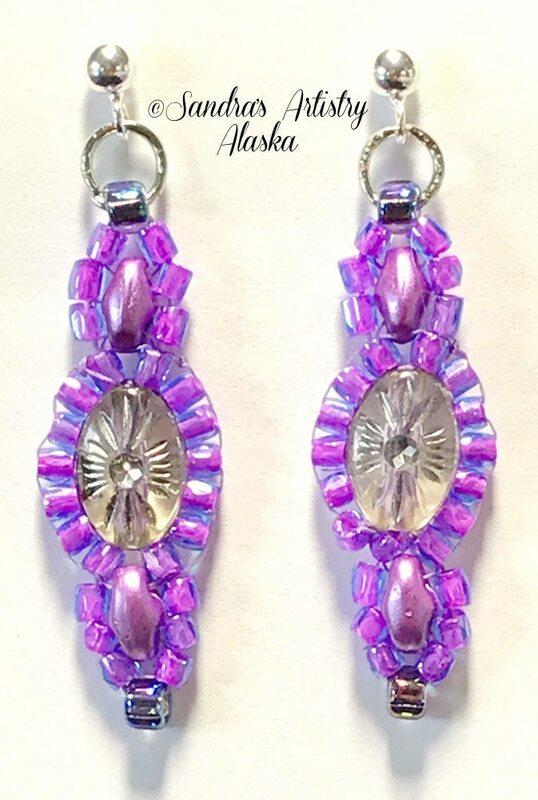 The length is 1 1/2" and the widest portion measures 3/8" wide. 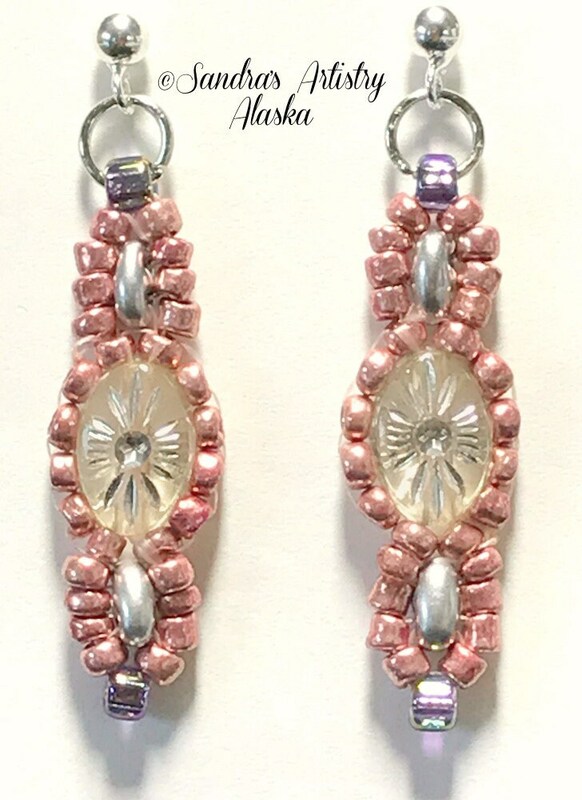 These earrings have sterling-silver posts (not hooks) for wearing.